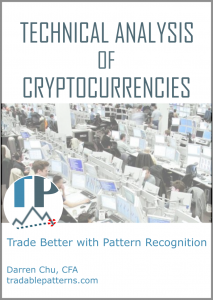 You have arrived at a members section of Tradable Patterns. You can freely access technical analysis on one market from the most recent edition of Today's Top 3 Trades and Crypto Weekly Outlook, Tutorials, Videos, select Workshops and more by registering as a free member. If you are already registered for a free account, please login. Join 2 of the world's 5 largest hedge funds by AUM as daily readers of Tradable Patterns' technical analysis. Since becoming available on Bloomberg and Refinitiv, readers have included every single one of the global top 10 investment banks. If you represent an institutional investor or potential distribution partner, write to info@tradablepatterns.com to request Bloomberg, Refinitiv or Factset readership reports. Thanks for giving me the opportunity to begin knowing your services. my target is 1947 (SPX cash)..Hit today…Probabbly extend1957-1960? I read Top this Week then down-test. I am a free subscriber. How do I access the free version of your daily newsletter (Today’s Top Trade)? Once you login, all you need to do is click on the headline of the most recent newsletter post. It’ll then open up the page with the technical analysis relating to the top trade idea. Let me know if you have any other questions/comments!